“Weird Arizona” is certainly one of the best books ever written about Arizona. This comprehensive book is filled with stories about Arizona history and lore. It covers everything from legends and tall tales to some very weird places and roadside attractions. There are also dozens of great photos to look at on over 240 pages. 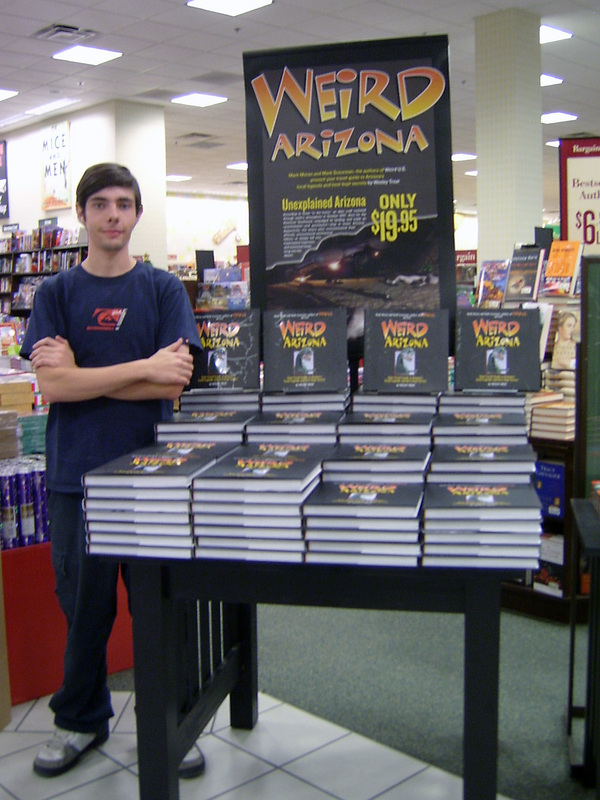 Weird Arizona is the latest release in the “Weird US” series of books by Mark Moran and Mark Sceurman. Featuring the work of Wesley Treat (of Weird Texas fame), Weird Arizona also features original photographs and tales of adventure from contributor Trevor Freeman. It’s all of the wacky, abandoned, haunted, famous, and off-the-map places you want to know about that Rand McNally left out. It’s Weird Arizona, and it’s in stores now! 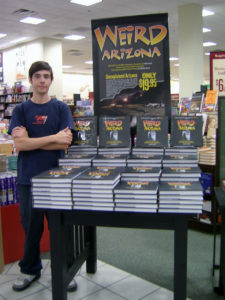 Order your copy of Weird Arizona from amazon.com or from Barnes and Noble booksellers today! The ISBN number is: 9781402739385.